At Signature Dental of Bucks County we provide a wide variety of affordable options to get you the most perfect teeth possible, including natural-looking porcelain dental veneers and tooth-colored composite fillings. Ask us about veneers and teeth whitening and how we can maximize your dental insurance. We also provide teeth whitening, braces and dental implants. Dr. Valen is also experienced in dental bridges and dental crowns to make sure your smile dazzles everyone. Call now for an appointment for Warminster cosmetic dentistry at (215) 443-7373 or just fill out our simple online form. Please don't hesitate to contact us if you have any questions. We are here to help, and look forward to speaking with you! Dr. David Valen and his friendly team are committed to helping your receive the personalized cosmetic dentistry care you need. At Signature Dental of Bucks County our staff is trained in the latest techniques. 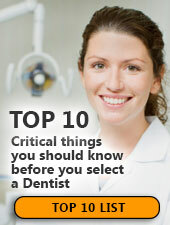 If you need to find a dentist contact us at (855) 747-7332 for a map, office hours and directions. We're looking forward to helping your learn about your options for affordable cosmetic dentistry.